If you have been served with a summons to appear in court after having a disagreement with your spouse or significant other, you are likely facing a Orange County judge who will determine your fate in a Winter Park Injunction hearing. The following information is designed to inform you on the process that awaits you. Winter Park domestic violence injunctions, injunctions for dating violence and Winter Park injunctions for repeat violence are all heard at the main Orange County Courthouse located at 425 N. Orange Ave. in downtown Orlando, Florida on the 16th floor. 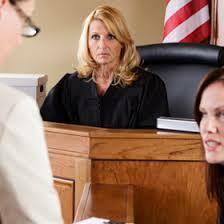 These cases are presided over by a single circuit court judge who also will render a judgment and not by a jury. In all Orange County injunction cases, the person accused, known as the “respondent”, is required to have no contact whatsoever with the “petitioner” and will be required to wait for the hearing in separate rooms. Once signed in with reception, the Respondent is required to watch a video which is designed to outline the injunction process. TILDEN LAW is rated A+ by the Better Business Bureau and has 20 plus years experience representing clients in Winter Park Domestic Violence Injunctions, Winter Park Dating Violence Injunctions and Injunctions for protection against repeat violence. Contact TILDEN LAW for a free and confidential case evaluation to determine your best defense in combating your domestic violence injunction hearing, 407 599-1234.